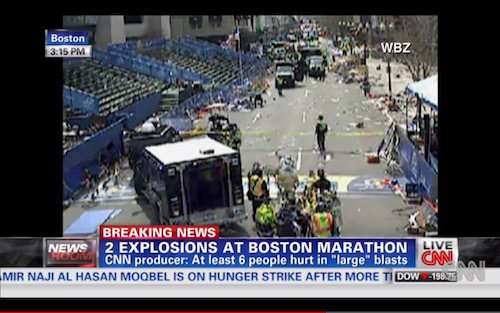 BOSTON — Two explosions disrupted the Boston Marathon on Monday, causing at least two deaths and nearly two dozen injuries and scattering crowds near the finish line, authorities said. The blasts occurred after the top racers had completed the course, but thousands of others were still running. CNN reported that authorities halted the race. Posted: 4/15/13 at 4:59 PM under News Story.